Following on from its recent success, Mitsubishi Heavy Industries Air-Conditioners Australia (MHIAA), is growing its team to better service its customer needs. 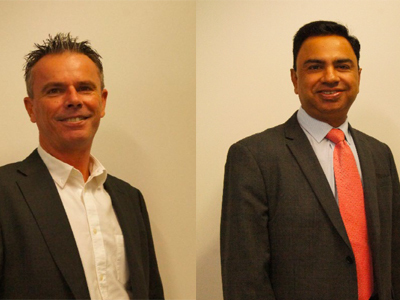 After recently moving to the new state-of-the-art premises in Regents Park (New South Wales), the company is pleased to announce that Amir Naqvi and Damian Hatch have joined the company as supply chain manager and national accounts manager, respectively, to Australia and New Zealand. As a seasoned supply chain professional, Amir brings 15 years of expertise to the team. “Prior to MHIAA, I was involved in reviewing and optimising supply chain structures for large multinationals. I’ve also handled transport, logistics, warehousing, project and change management”. MHIAA also welcomed Damian Hatch who assumes the role of national accounts manager and will oversee MHIAA’s national reseller and retail customers. With years of trade experience under his belt, Hatch gained a wealth of business acumen whilst running his own business. He then moved into the corporate space where he spent almost two decades in sales and client services. “I’ve dealt with key national accounts in the past and pride myself on the strong and established relationships that I’ve built over time” says Hatch. Aligning to the company’s intrepid goals for the future, Hatch will be responsible for developing and implementing a sustainable sales strategy across Australia and New Zealand. “I am pleased and privileged to have joined MHIAA and I look forward to helping them bring their goals to life”.